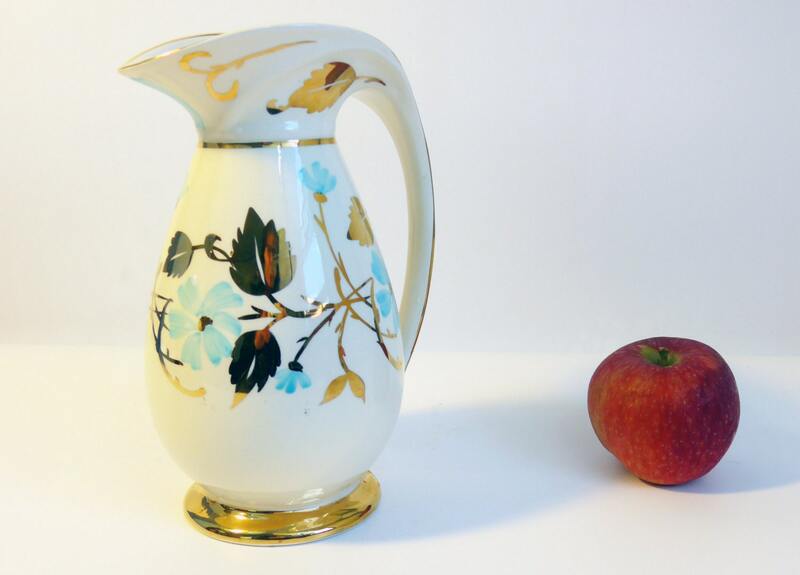 Lovely vintage or antique MYOTT pottery pitcher that is signed on the bottom by the artist. The top rim and handle are painted gold as is the base. 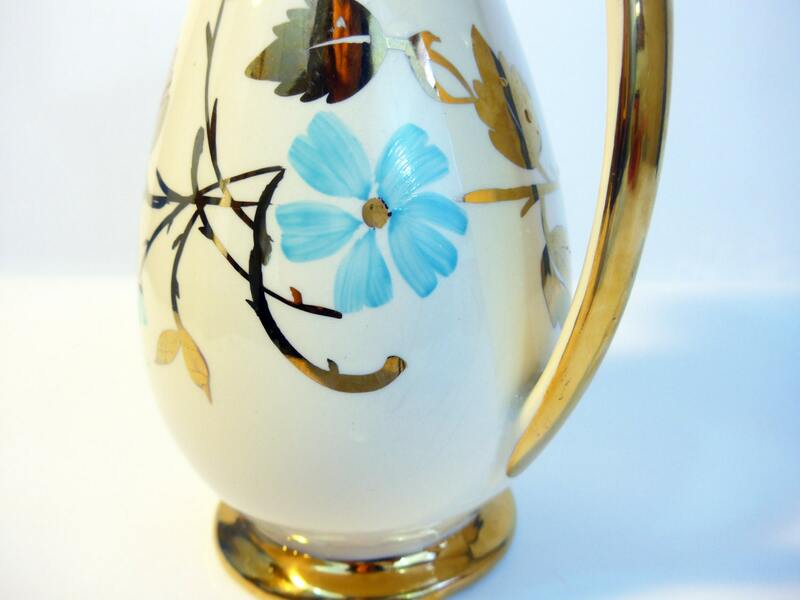 There are gold leaves and branches with turquoiuse flowers on the center section of the pitcher. Some nice embossed lines on the upper lip portion of the pitcher that is Art Deco in style. See NOTE below about the Myott Pottery in England. This pitcher with it's unique shape as ENGLAND embossed on the bottom along with MYOTT and a couple of numbers or letters text in another place that are so light, I am unable to identify them but best guess is "24". 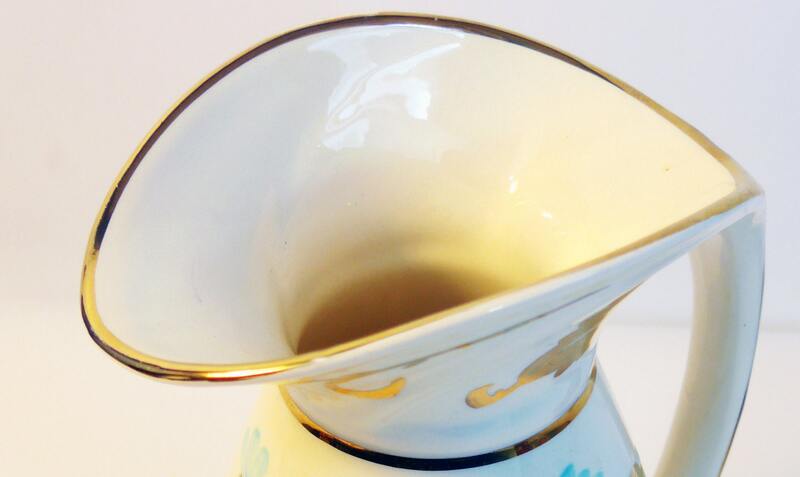 This style of pitcher is circa 1920s when the Myott Co. produced a number of Art Deco pieces. 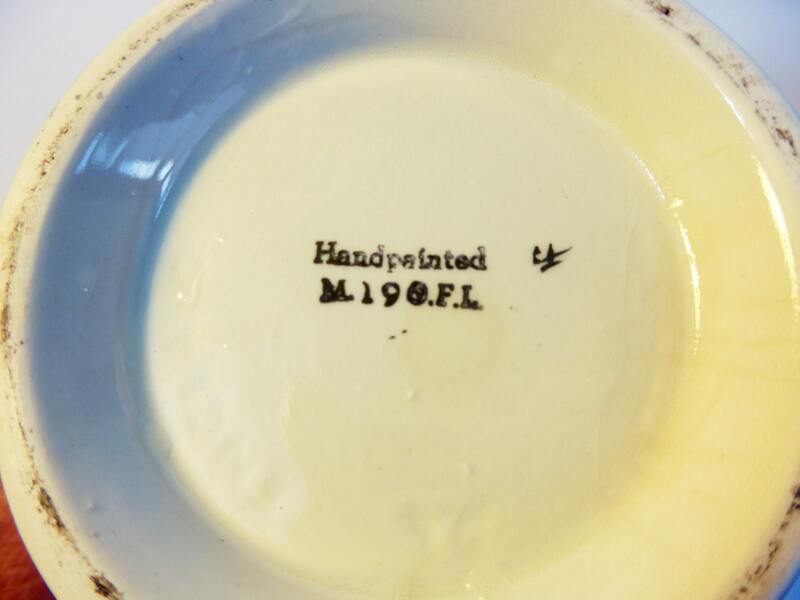 Also on the bottom are printed in gold letters and numbers: HANDPAINTED M.190.F.I. There is also the artist's initials that I am unable to identify - see photo #5. Measures 9" high. Base has a 4" diameter. Top opening is an oval that is about 5" x 3 1/2". In nice vintage or antique condition with some very light wear to the gold upon close inspection - most still look very nice. Slight crazing here and there and wear on the bottom as would be expected an item of this age. The firm of Myott, Son & Co. Limited was family run business based in Staffordshire, England. 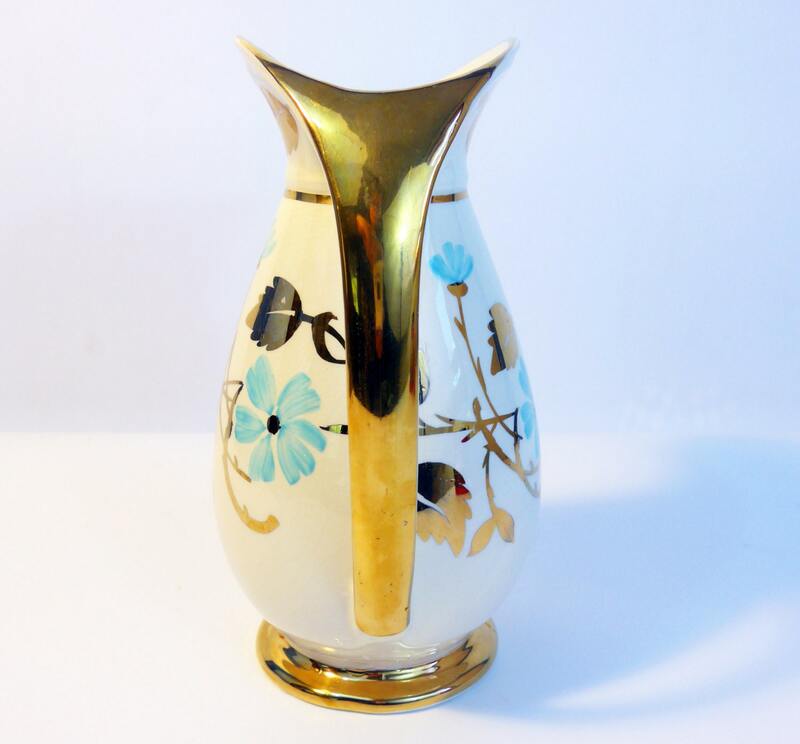 Established in 1898, Myott was noted for production of Art Deco vases, jugs and wall pockets, pieces in brighter colors. Orange and brown were the dominant colours used for decoration. In fact a very limited palette was incorporated into the designs, with blue and red are infrequently used so their presence can increase the worth of a piece. Some Myott pieces can be extremely limited today.